I saw this little guy yesterday on Cute Overload. 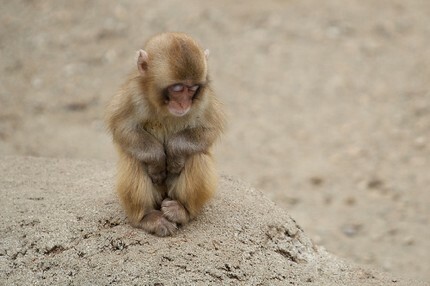 It’s a baby macaque, and the picture was taken by Jason Hill. I want heem so bad it hurts. This is a picture from the Best Friends website. 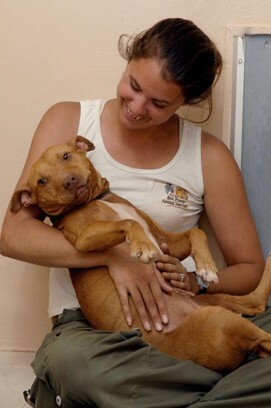 It’s one of the Michael Vick dogs that they’re rehabilitating. The story is here. Apparently things are going well. I mean look at this sweetie. It does my heart good seeing these dogs get some love. People who take care of animals like that are saints.